Before coming to Russia, I really had no idea what to expect outside of some vague notions of Soviet apartment buildings, lots of blocky concrete structures and the endless steppe of Siberia. I was wholly unprepared for the beauty we see here on a daily basis, and we've only just begun our trek through this vast country! 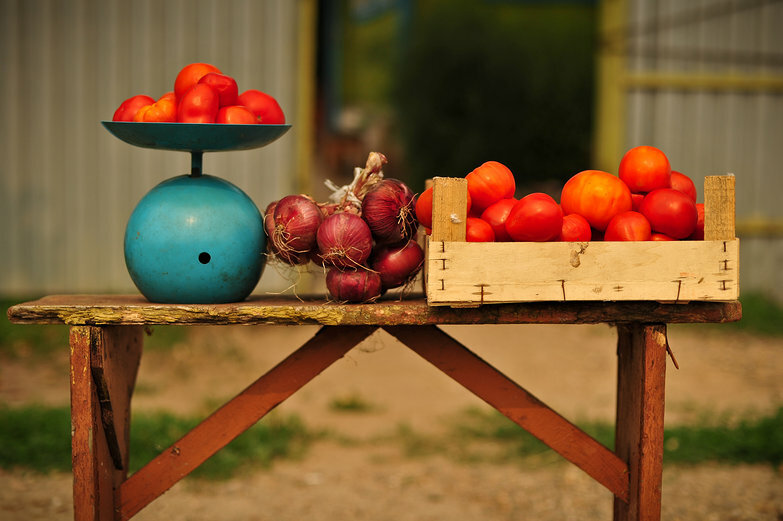 The beauty comes in various forms, from the perfectly ripe tomatoes sold on the sides of the road, to the glint in an old woman's eye as she sells us two home-grown, home-canned dill pickles from a giant jar. 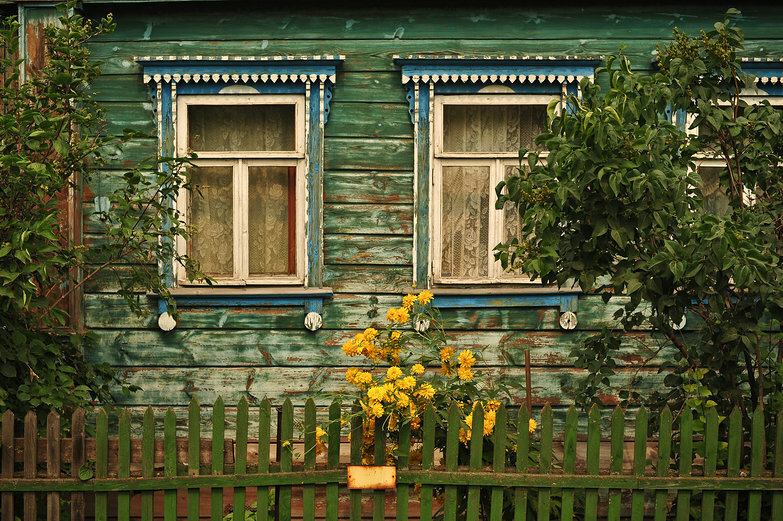 It is present in the hundreds of crumbling yet opulent churches, the lakes and rivers and fields we pass, and, perhaps most of all, beauty comes in the form of Russia's homes. I cannot get over these houses! I am so curious to know, who makes them? Could you once buy window frames like these at a store? Or did people make them themselves? Was there a special craftsperson that constructed them in a wood-shop of some kind? We left on this adventure to discover the world. When we return, we'll have a lot of reading to do to, just to learn about what it was we saw! In any case, I admire, as always, fine craftsmanship, attention to detail and aesthetics. 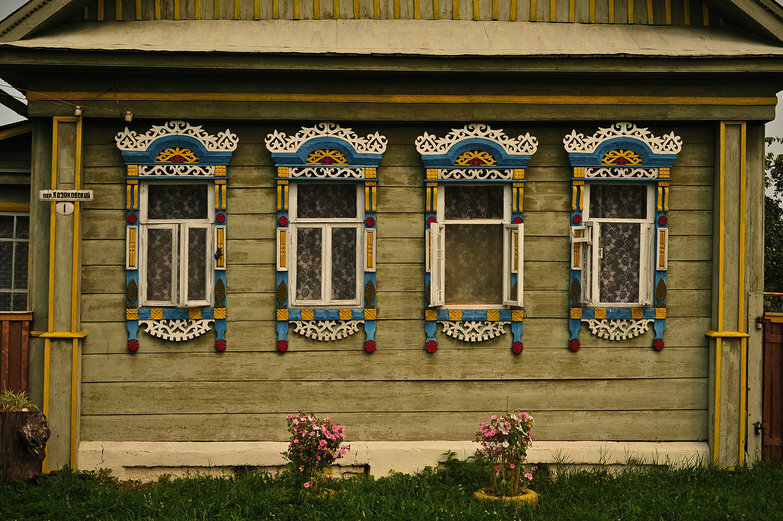 I hope these gorgeous Russian houses follow us all the way to Mongolia! Really beautiful photos you guys and such a lovely little detail about a country I know next to nothing about. Great pictures of windows frames from the past. Those are truly unique today! Woah! Interesting questions and especially interesting houses. If we'd studied anything about Russian domestic architecture in my courses, I'd let you know what I'd learned, but I'm sadly ignorant. I'll keep my eyes peeled though--maybe next time I'm at the Library of Congress I can find out something for you. Katherine - I thought of you as I was taking those photos, thinking you might appreciate all that old, decaying beauty. Bill - Thanks! Actually, the tradition is alive and well here in Russia. Most of the homes are old, though. Julia - If you do learn anything about them with your crazy library access, please let me know! In a chapter on "provincial life" they note that building wooden houses, or izbas, is a long tradition (somewhat interrupted by the revolution and desire to build with other materials). 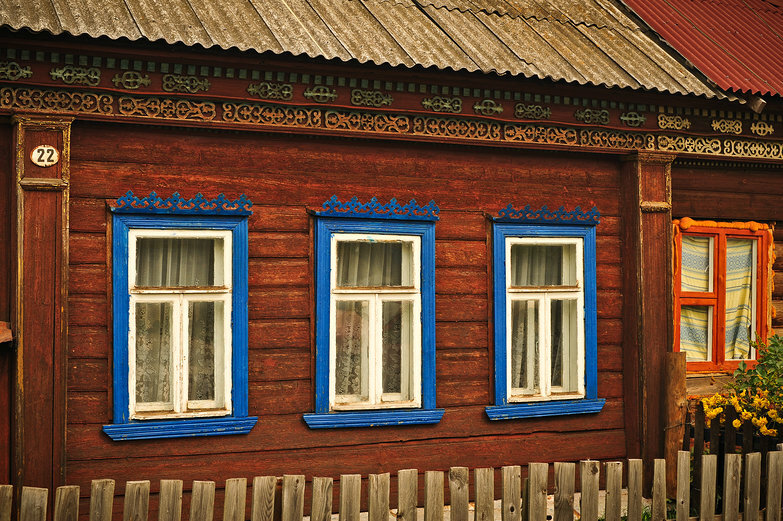 Gaynor and Haavisto write that the tradition of using applied architectural ornament on wooden houses continues "in innumerable small villages along Russian roadways. 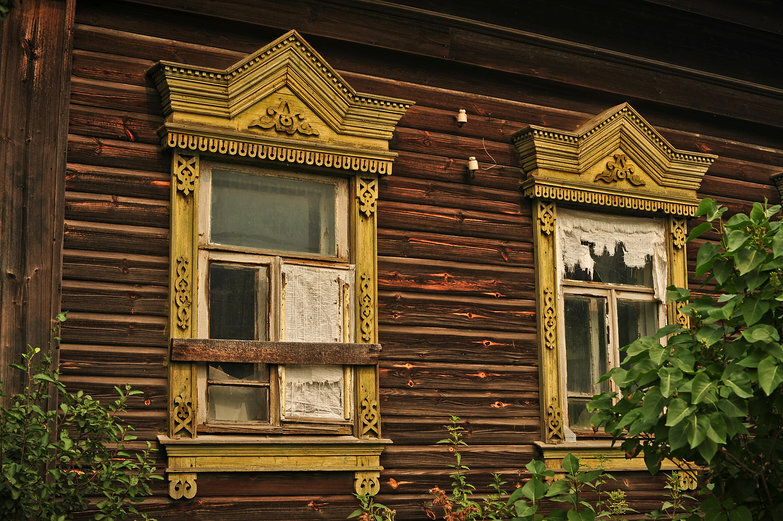 People in some provincial settlements take great pride in exhibiting their ability to carve intricate window frames, doorways, roof trim, and gates. 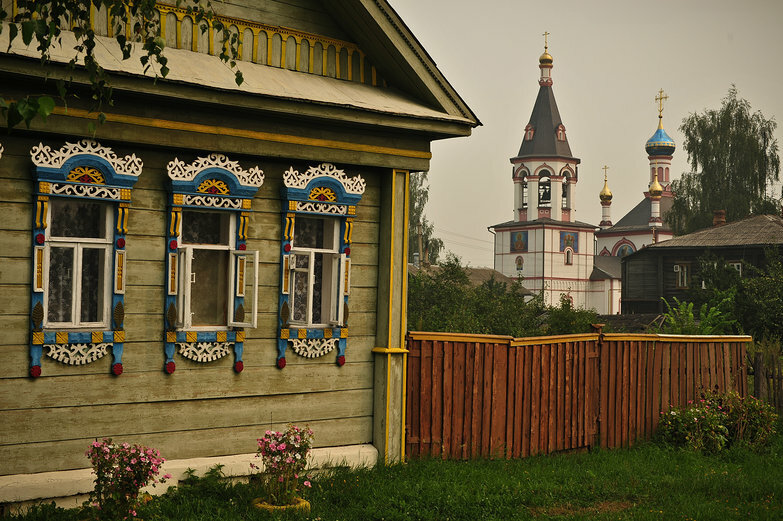 These are the nineteenth- and twentieth-century izbas, or "woodhouses" many without indoor plumbing, of the traditionally agrarian Russian people." They suggest that the colors were chosen by whatever shades of paint were on hand at the time and conclude that "decorative work painted white is undoubtedly an allusion to Russian lace. They have pictures of a wide variety of exterior architecture, much like what you photographed here and elsewhere. 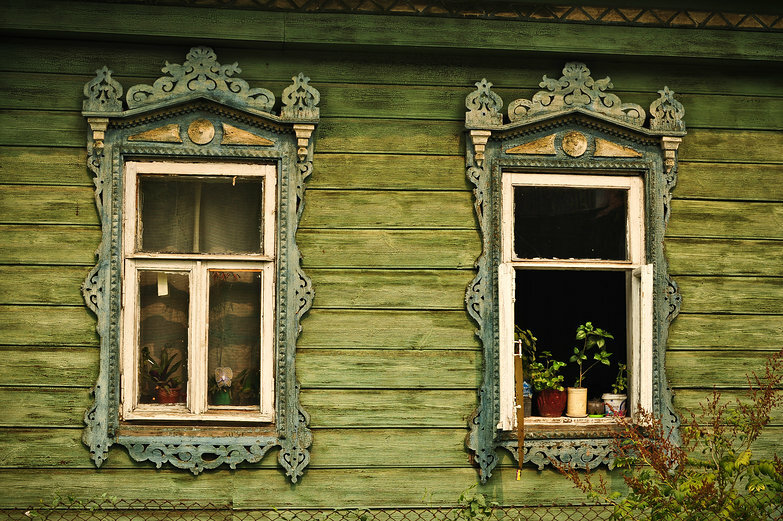 A photo of a house rented by Tchaikovsky shows that some of this interest in ornament was carried to the interior woodwork as well. One room in his house displays blond wood panelling (used to decorative effects in itself on the ceiling by running the boards in different directions) capped with a repeated arch motif. That's about all I got (besides seeing that some palace, maybe of Czar Nicolas?, had a table setting of iridescent green "uranium glass". That was crazy looking). A little bit of info from your decorative arts researching fiend. These ornate details may have come from local lumber mills using a powered jig or scroll saw. In the 19th century US you could also order standard trim parts from catalogs. Not sure about Russia - most likely done locally. 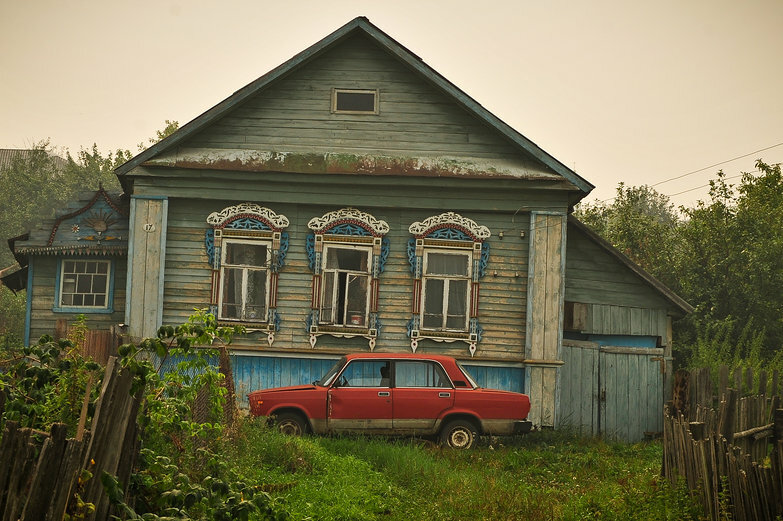 We have been living in a little village along the Volga for over a year now, and the houses still amaze me. Some of them are badly decayed, but many of them are well preserved and maintained. It seems as though your question has already been answered about whether the ornate woodworking come from a shop or if they are by hand. However, I will add to it. First I will need to tell you a bit of back story. My husband is Russian, he grew up in a small Russian village about 300 miles south of Moscow. His moms parents were born in Ukrain but shipped off to Siberia during the USSR and his fathers parents were born in that small Russian village. We have been looking through your road trip across Russia because he agreed to move with me to the USA, but first we want to see all of his homeland. He doesn't know if he will ever get the opportunity again. Anyways, I asked him about the woodwork. He said his grandfathers both did them by hand... in fact they built their entire houses by hand. He said all the grandparents, from his generation, in villages surely know how to build like that. He told me that his own father could build pretty much anything but he doesn't know if he could do those intricate pieces (unfortunately we are no longer able to ask him). However, this is pretty much lost with his generation. Many people are now heading to major cities to buy their more difficult goods and then there is cheap Chinese stuff at markets in the villages.